I am currently writing a script that will ultimately display a report for me. I can get all preceding tables/graphs to refresh accordingly when the data source's data is updated, but I'm not sure why the final table in the script doesn't update (labeled /* FINAL REPORT */). Am I missing a line so I can pull in data from the data source? Thank you in advance! 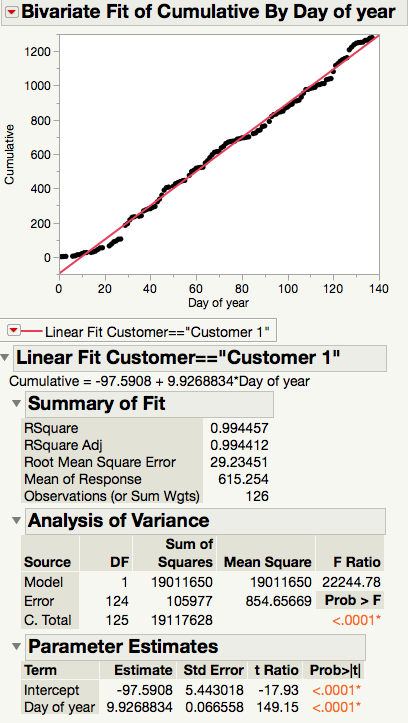 Report( platform )[Outline Box( "Bivariate Fit of Cumulative By Day of year"
You have an error in your script. I believe you want this definition of CombinedTable. Since the data table you are creating has this portion of JSL as a table script, it will need to be fixed as well. 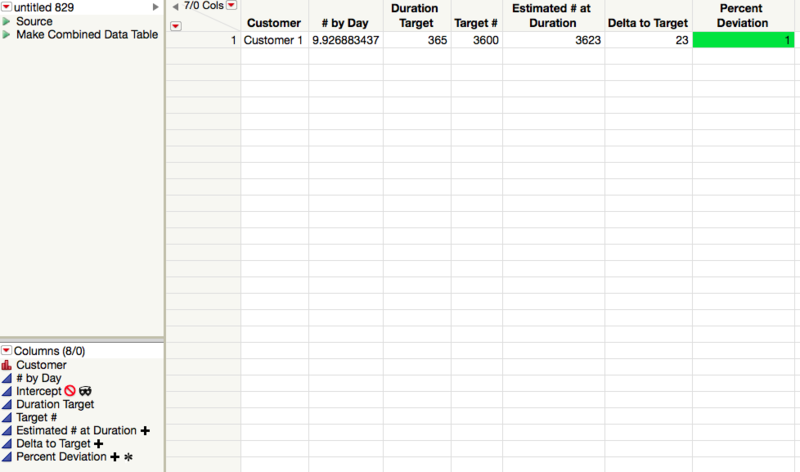 Also, you have defined only one row in data table CampaignFulfilment, with fixed values. 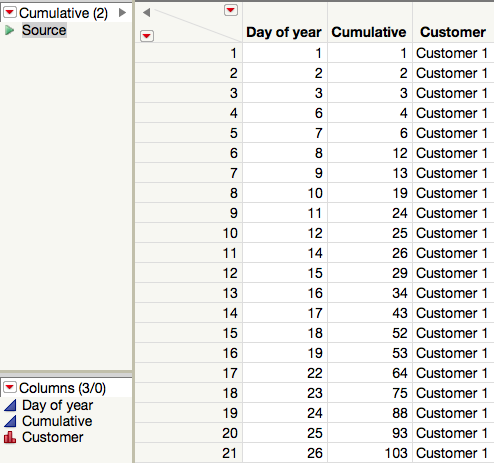 I see no JSL code to add data or make that table dynamic. Please describe what you expect the script to do. I'm not sure how to make my table dynamic and would like to make that happen. My goal is to have the CampaignFulfillment table, the split table, to auto refresh when the data source updates. The "Data by day" number in CampaginFulfillment is pulled from CombinedTable and that number is created when a fit line is added to the graph I created. I have attached images of what everything looks like.